On August 25, 2018, United States Senator John McCain passed away at his ranch near Sedona, Arizona. “John McCain dedicated his life to serving his country. Senator McCain and many members of our community didn’t always agree on everything, but in recent years he evolved on a number of issues important to LGBTQ Americans. 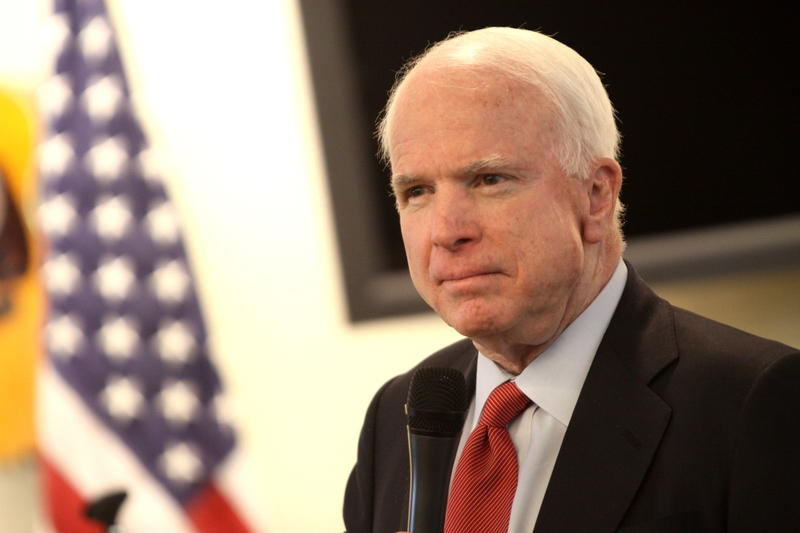 Senator McCain was one of a handful of Republicans who supported the Employment Non-Discrimination Act in the U.S. Senate in 2013; he was one of the first elected officials to vocally push back on President Trump’s efforts to oust transgender Americans from the armed forces; he rebuffed attempts to use the National Defense Authorization Act as a vehicle to advance discriminatory measures in Congress; and he spoke out against discrimination at the state level – successfully urging Arizona’s governor to veto a sweeping License to Discriminate bill in 2014.